"There are lots of floral notes to this fresh and well-spiced style, featuring intense red currant and roasted plum flavors. The finish lengthens out nicely with chocolate and spiced cherry accents. Malbec, Merlot, Cabernet Sauvignon and Syrah. Drink now through 2019. 1,000 cases made. -KM"
"This savory wine is a blend of Malbec from Perdriel (Lujan de Cuyo) and Paraje El Cepillo (Valle de Uco); Cabernet Sauvignon and Syrah-Garnacha from (Russell) Maipu, Mendoza. Deep ruby red color with purple hues with intense aromas of cassis and spices. 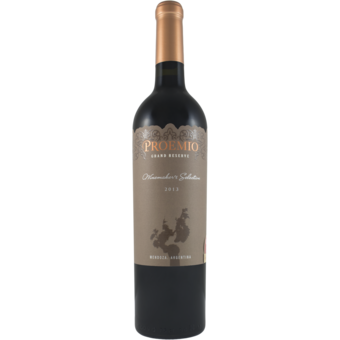 A well balanced wine, with vibrant flavors of red berries, vanilla and chocolate and a smooth, long finish. Proemio -- Prologue in old Medieval Spanish, stands for kick-start or first page. This is indeed the beginning of the winery’s story. 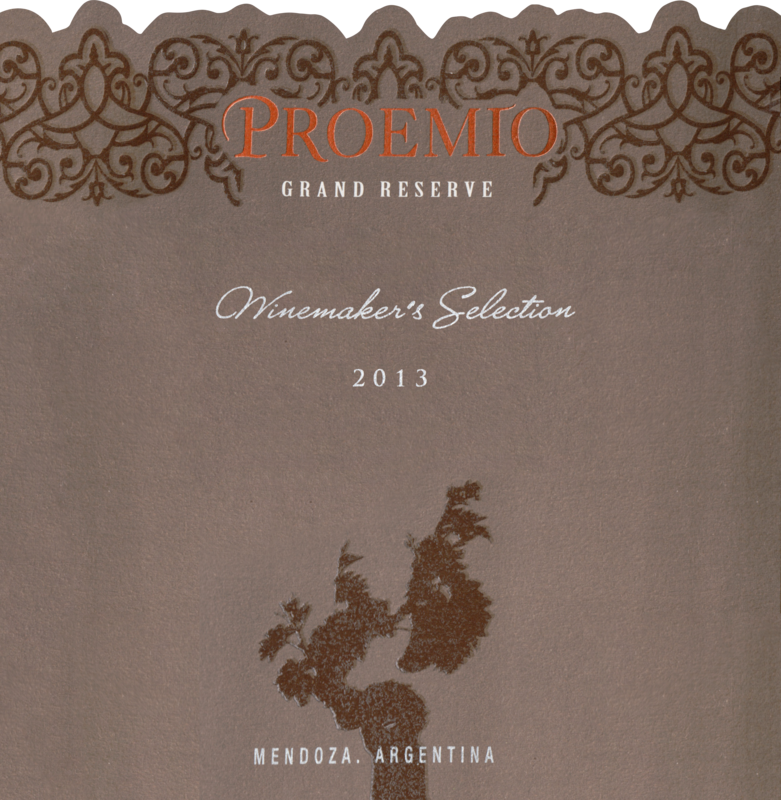 In 2001, Marcelo Bocardo, third generation winemaker and the descendant of a traditional Italian immigrant family founded Proemio with the goal of producing high quality wines that truly represent his ancestors' passion for viticulture and a legacy for the generations to come.